KABUL -- Afghanistan is increasingly relying on its air force to fight militants hiding out in rugged terrain, and top military officials hope to further improve the force's equipment and technical skills with international support. "I can say that the biggest reason behind the success of the Afghan army is the activities of our air forces," Gen. Mohammad Radmanesh, deputy spokesman for the Ministry of Defence, told Salaam Times. "Afghanistan has rugged terrain," he said. "The air force is very valuable under such conditions." The air force can strike havens and hideouts at night, drop off troops in enemy territory and deliver supplies quickly, he said. "Last year, the air force conducted more than 3,560 operations," added Radmanesh. "It destroyed more than 10,000 of the enemy's fighters and about 400 enemy commanders." The air force in 2016 "foiled the Taliban's plan to capture a number of provinces and districts" and prevented the "Islamic State of Iraq and the Levant" (ISIL) from gaining a foothold in Afghanistan, he said. "ISIL was active in nine districts in Nangarhar Province," he said. "The air force enabled us to squeeze it into three districts." 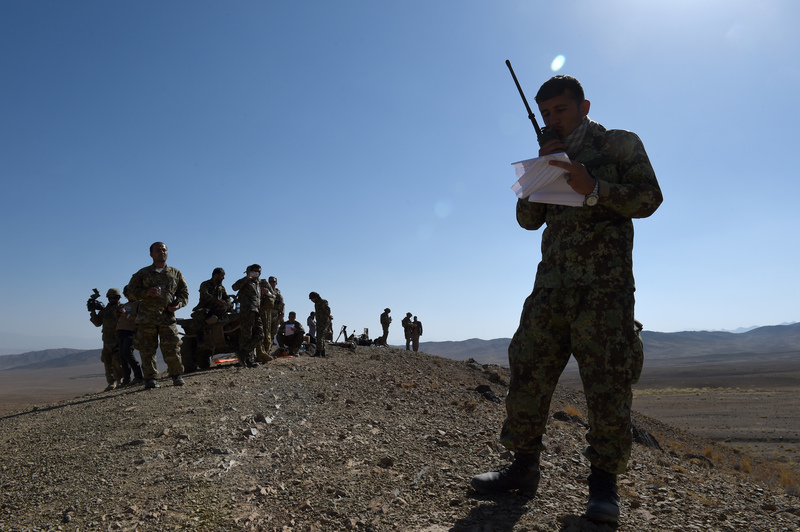 To continue that progress, Afghan forces seek continued international support. Priorities include acquiring reconnaissance planes and bombers, activating the air force's radar system and increasing the helicopter fleet, said Radmanesh. "We would like our allies to take these needs into consideration." Gen. Abdul Wahab Wardak, the Afghan National Army's deputy air wing chief and a former air force commander, told Salaam Times that after a rocky start in 2014 when a large segment of foreign forces withdrew, Afghan troops gained considerable experience in the past two years shouldering the bulk of the fighting. Wardak said he is grateful for the existing level of military equipment. "Our helicopters were equipped with rockets, we received eight A-29 attack aircraft [followed by four more in March 2017], and we received MD-530 helicopters," he told Salaam Times of last year's acquisitions. "Now we are better equipped than ever against the enemy," he concluded, adding that in 2016 alone, the eight A-29's killed about 600 militants. "The air force is fundamental in every battle," Gen. (ret.) Atiqullah Amarkhil told Salaam Times. Although the air force still has deficiencies that need patching, "nowadays the enemy doesn't have anti-aircraft missiles", he said. "It can be effective in hitting enemy havens." "If we obtain F-16's, they will prove useful in bringing stability," added Amarkhil. Ordinary Afghan citizens like Kabul University student Mursal Samadi hope for continued growth of the air force. "It needs to be equipped with modern systems equal to those of other countries in the region," he told Salaam Times, adding that he is proud of the force. "Without the air force, Afghanistan cannot foil the enemy's attacks," he told Salaam Times. "We need a stronger air force, and we need to train more pilots and engineers." 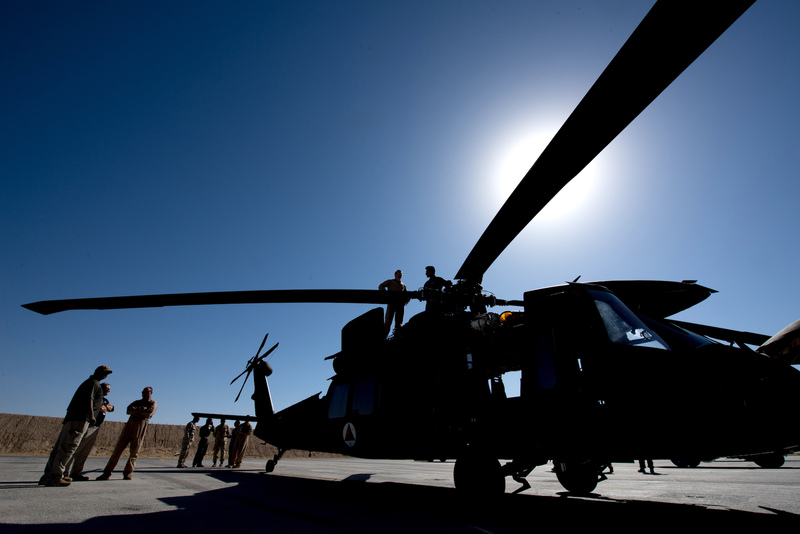 The deployment is aimed at supporting an Afghan National Defence and Security Forces air campaign targeting Taliban revenue sources, including narcotics production facilities. Newly trained pilots and combat aircraft provided by international allies are bringing about 'major changes' in the fight against terrorism, officials say.